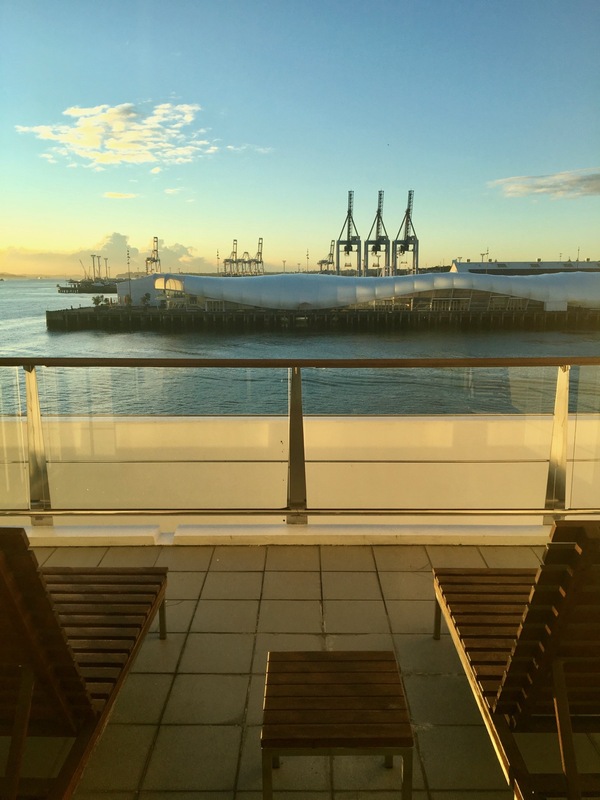 A little earlier this year I took a quick trip to New Zealand, with just a night in Auckland. 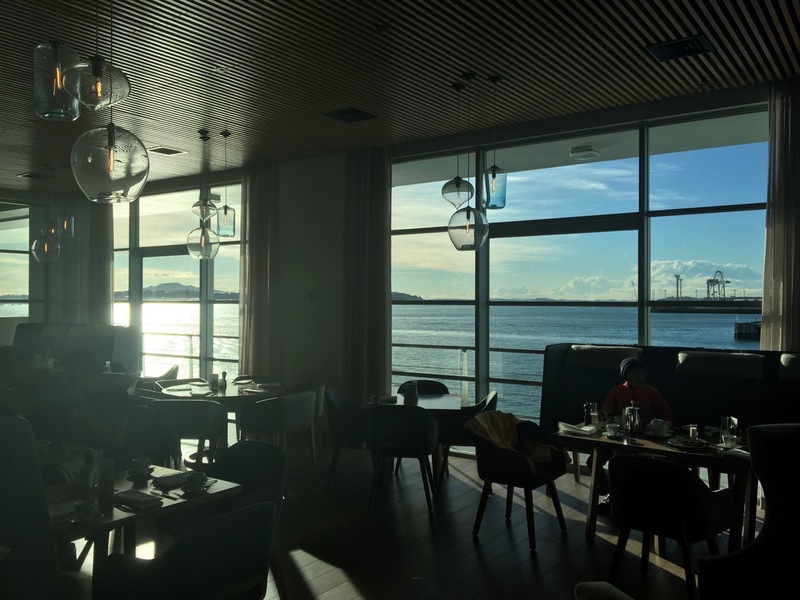 I decided to stay near the harbour as I hadn’t done so before, and the Hilton is one of the main hotels on the water, so it seemed like a logical choice. Although I have Hilton Honors status, my plans meant that I wasn’t really in need of breakfast that would be included, so instead I decided to book through Hotels.com and earn Hotels.com Rewards night credits towards free nights at most hotels on Hotels.com. 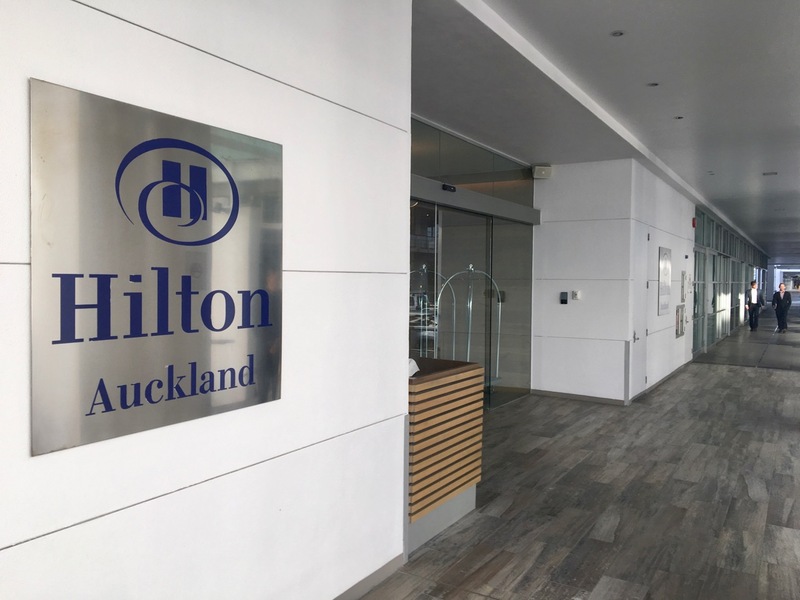 Within the Honors program the Hilton Auckland is a Category 7 hotel, with rooms starting at 50,000 Honors points per night for basic room redemptions, but if you’re going to stay here it’s probably worth plumping for a harbour view room so you aren’t looking inward or toward the city. I opted for a King Deluxe Harbour View, a couple of categories above the base-level room, at a cost of about $35 more. This could have been an upgrade for Honors status members, potentially. 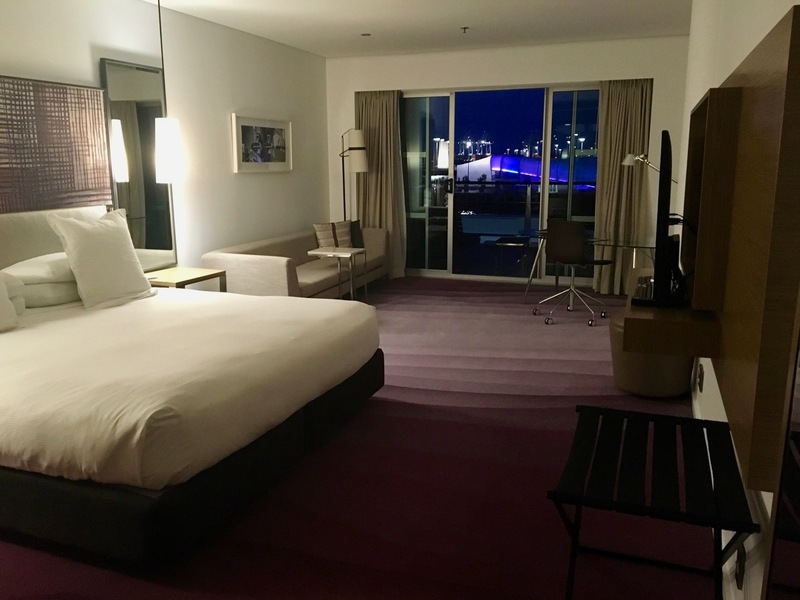 The room was very spacious and with the promised Harbour view, but I wasn’t a fan of the aubergine colours going on, and the space didn’t seem like it was used very well – it felt pretty sparse. The Harbour View was pretty good both at night and the next morning, although it was cold when I was there so didn’t have an opportunity to enjoy the balcony. In summer this would be nice, but the balconies weren’t particularly private to other rooms around them. There was nothing bad about the room – but nothing noteworthy either, especially for the price. 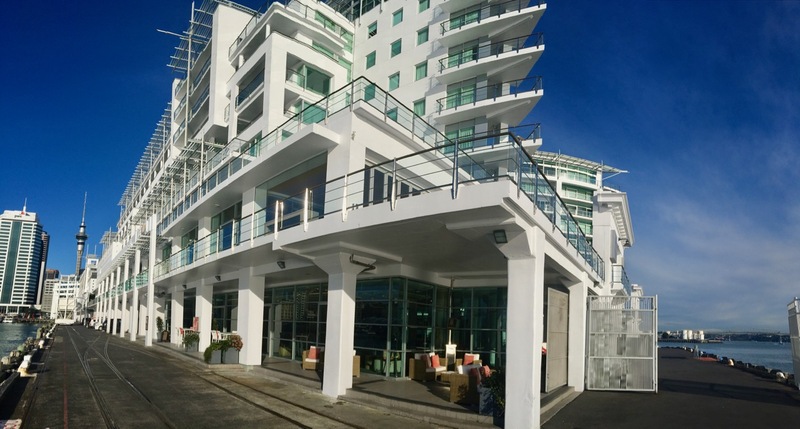 The hotel is on an old, gentrified industrial wharf with evidence of it’s former life around. The main entrance if arriving by car or taxi is in the centre, facing inward. 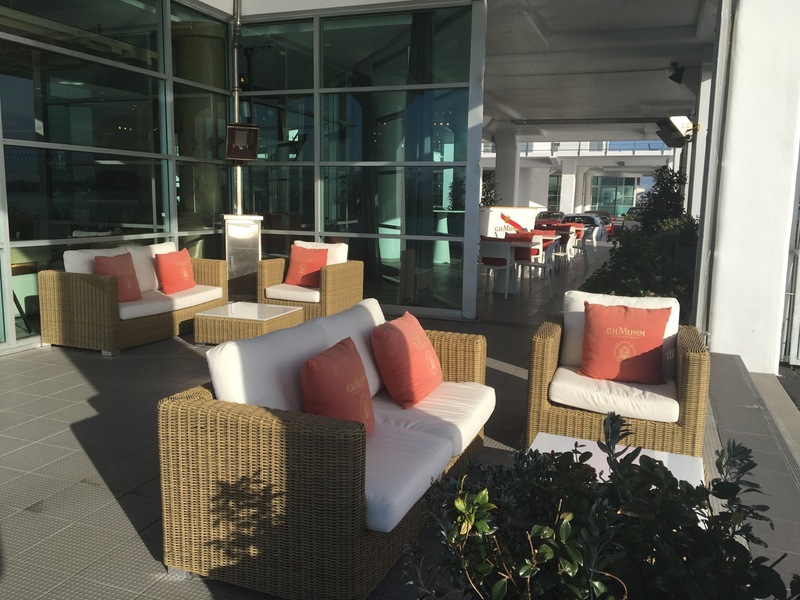 Around the outside there’s seating for an afternoon or evening drink or snack in the sunshine – or a spot to avoid if the weather is grey. 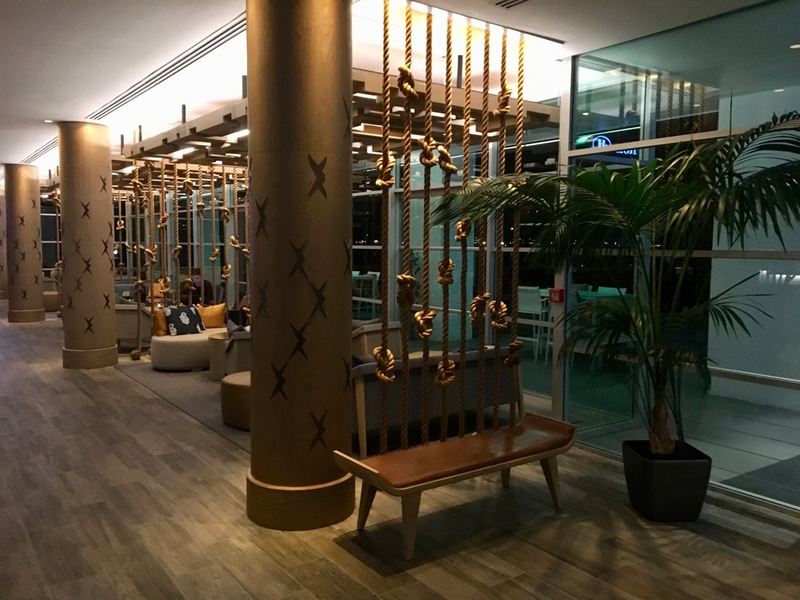 The Hilton Auckland has an (understandable) nautical theme in the ground-floor lobby and public areas, and a lot of open space with seating for guests and visitors to enjoy, including open ‘fireplace’ seating good for large groups. The hotel bar is also downstairs, sharing this public space. 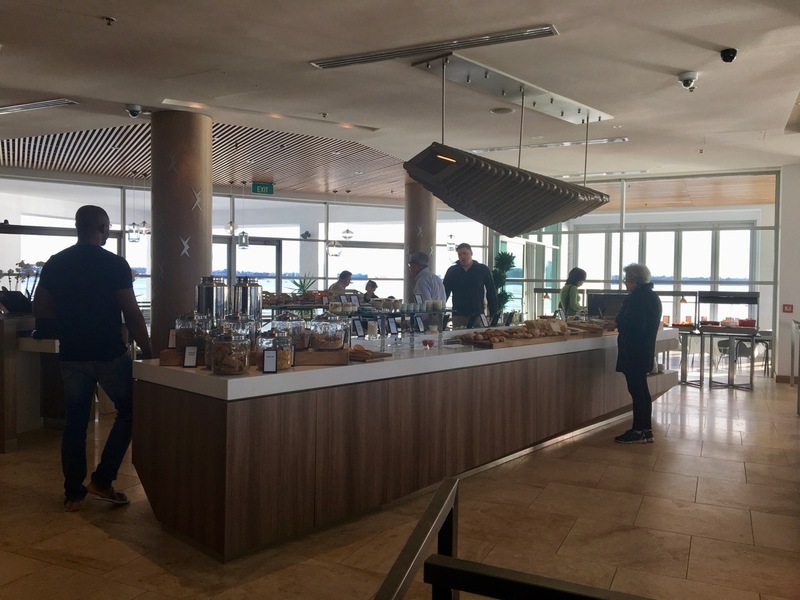 There are then large dining spaces on the first floor used for breakfast and the restaurant, commanding 270 degree views of the harbour. There’s also a unique outdoor lap pool a few floors up with an overhang and viewing window at the end, offering an infinity effect. Given the time of year I didn’t try it out, but in summer, it could be fun. 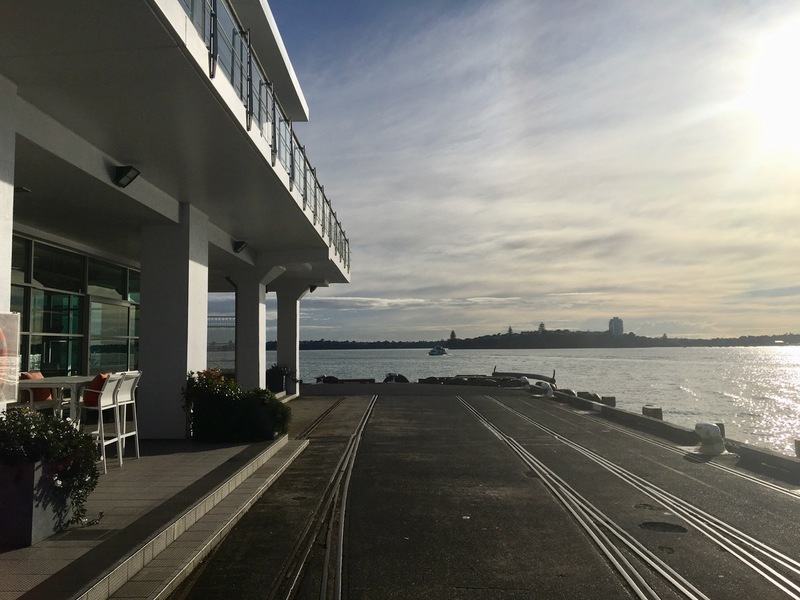 The Hilton Auckland has got potential from it’s location to be a good hotel with some wow-factor. I found the staff friendly and helpful, while it’s location and views are excellent. It is, of course, not in the thick of the CBD but it’s just a short walk away. 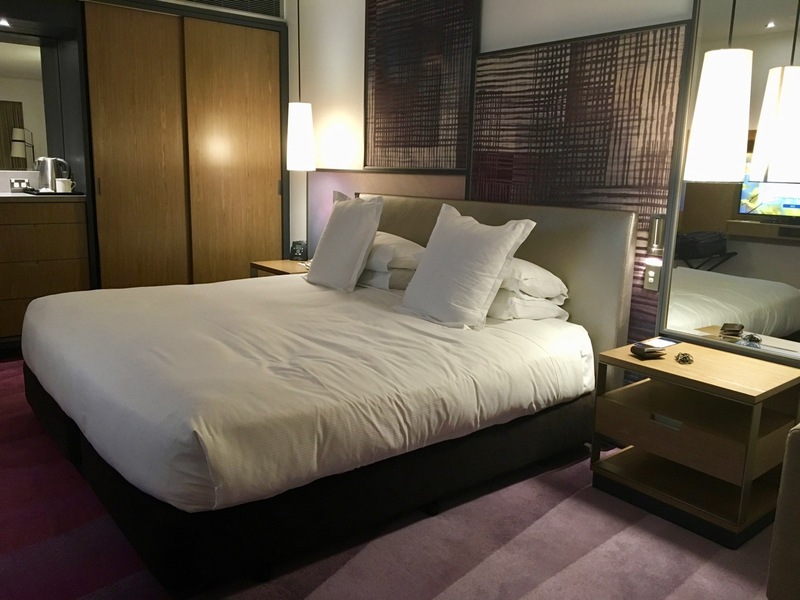 I personally didn’t like the hotel’s and my room’s interior – and it wasn’t just the purple carpet. The room was overly sparse, just a large and somewhat echoey space with a too-low ceiling. 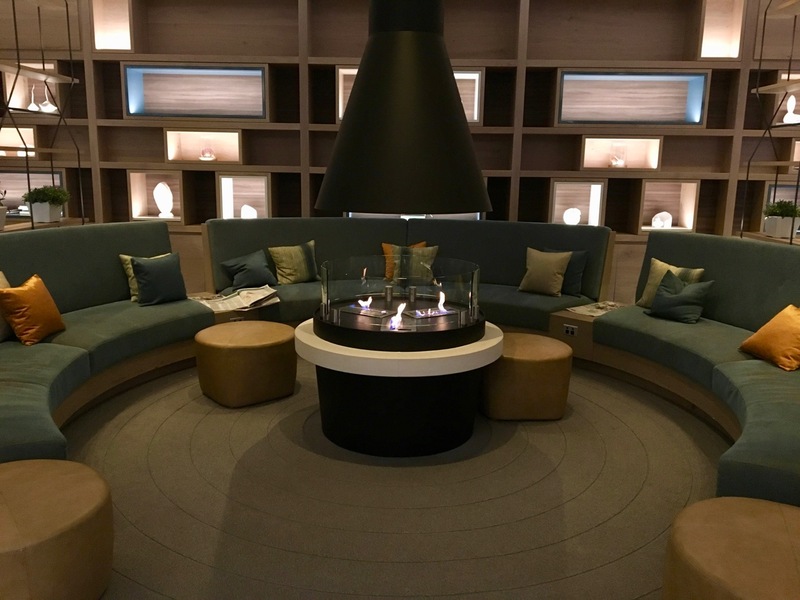 I would have felt like this was a better deal if rates here weren’t so high – but it is a consistently expensive hotel, so unless you are being completely loyal to Hilton, definitely look around at other options before booking. Hi, the capital of New Zealand is Wellington, not Auckland. Worth checking your Qantas Aquire account – have you received an ‘anniversary gift’ of 2000 points?